Optical level switches are sensors with an electrical contact output at a specific liquid level. Dwyer models are low cost and compact. Optical level switches provide rapid response while employing mo moving parts. Applications include air conditioning systems, sumps, pharmaceutical, hydraulic reservoirs, and liquid holding tanks. 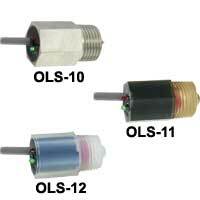 Optitrol® Optical Level Switch is low cost and employs an LED. Applications include food and beverage systems, liquid holding tanks, hydraulic reservoirs, sumps, pharmaceutical systems, and air conditioning systems.